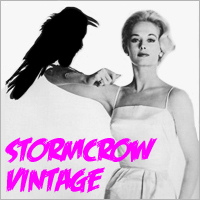 Every so often we feature an interesting vintage clothing piece that’s currently on the eBay auction block. Please inform us if you create or discover an auction we might like. What we Say: This Levi’s second edition 507XX jacket features all the bells and whistles, single stitch pockets, pleated stitching on front, the #17 on the back of the buttons, and what looks to be a yellow line down the white portion of the interior. Yes, from time-to-time we toot our own horn, but only when when it’s something special. This is one of the rarer items we dug out from our ongoing hunt through a huge stash of vintage clothing bundles that have been in storage for 30 years. If you missed the promo video and information on this quest check it out here. View the vintage corduroy jacket we featured previously.